The participation of Major League Baseball (MLB) players formed part of the World Baseball Softball Confederation (WBSC) bid for inclusion at the Tokyo 2020 Olympic Games, the sport’s President Riccardo Fraccari revealed today. 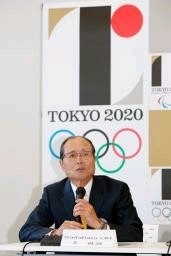 Fraccari also emphasised the “added value” adding baseball and softball to the programme would have for the International Olympic Committee (IOC) and Tokyo 2020 as interviews for the eight shortlisted sports with the Tokyo 2020 Additional Events Programme Panel concluded in the Japanese capital. The sport remains the favourite to win its case for inclusion after baseball was dropped from the Olympics following Beijing 2008. Karate, squash, bowling, sport climbing, surfing, roller sports and wushu were the others to have a final chance to stake their claim today, but Fraccari remains confident baseball softball will persuade the Panel to put them forward. “We stressed the value added by having them on the programme,” he said. Meanwhile, World Bowling President Kevin Dornberger told AFP that his sport has an “image issue”, although he still believes bowling may yet be included. Its shortlisting was perhaps the least expected of the 28 sports that applied, despite it being part of the Asian Games and the Pan American Games. “A lot of people think of bowling as guys drinking beer on a Friday night and throwing a few balls down the line," Dornberger said. “But that isn`t the sport of bowling - it’s a very athletic sport.